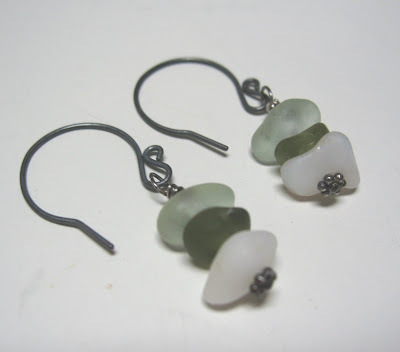 As an artist I am always trying to find alternatives to the norm - thinking outside the box... and in doing so stumbled upon this very easy and environmentally safe way to oxidize sterling silver. I am sure you could use this process on other base metals - however, my experiment was solely on sterling silver as this is the metal I use. 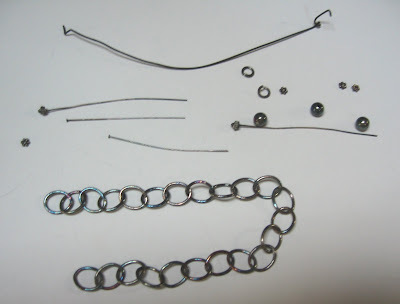 We know that the chemical, Liver of Sulfur, is commonly used in the the oxidation process of metals. It gives sterling and other metals various patinas depending on how long you process your items - usually by dissolving it in water. It is quick, effective, relatively inexpensive and does the job. However, the drawback is that it is a chemical and you must take the necessary precautions - gloves and a well ventilated area - even protective eye wear could be used if desired. So what do we do when we are done with the chemicals? We dump them down the drain. Where do they go? Well, then can end up right back in our environment and water ways. Not so good. Sulfur is the substance that creates the oxidation when released. Eggs contain sulfur. Although this method may not save you time - it is a healthy alternative! Step 1: Boil 1 or more eggs - bring cold water to first boil - then add the desired amount of eggs - after coming to a second boil for about 8-10 min - the egg is ready to be removed. 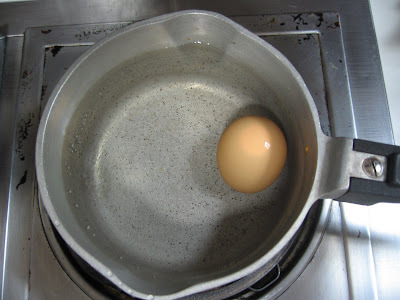 Step 2: Do not put the egg in cold water as you usually would - take the egg (use caution because it will be very hot) and remove the shell. 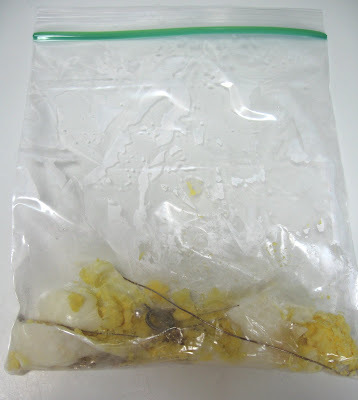 Step 3: Find a tupperware with lid (or a sealable plastic bag) and put the egg in crushing it up. 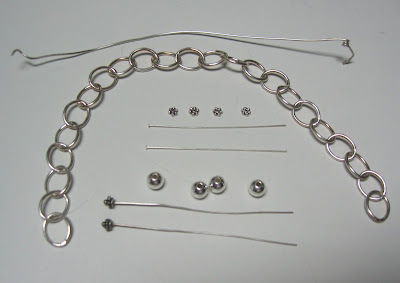 Step 4: Add desired silver you would like to oxidize and seal - this process could take anywhere from a few hours to overnight. The silver will go through different color changes such as rose to a purple hue and then to black. You may have to repeat this process to get to black. Step 5: After you have reached your desired patina - remove and rinse and you are ready to create! You may want to brush with steel wool to create an even patina and antiqued look. Give it a try and see how it works! You don't even have to peel the eggshell, just throw it right in the plasic baggie and smoosh it right up. That's how I do it. Great tip, great post, thanks for sharing!